Artificial Intelligence – human friend or foe? AI integration into everyday life has been repeatedly spoken of as an inevitability, with many armchair experts predicting potentially disastrous consequences for humankind. But are the ‘doomsday’ fears of AI just fantasy? There are psychological reasons for popular notions of AI doom as depicted in Hollywood blockbusters, however today our focus is on asking whether these fears really have a solid basis. Entrepreneurial billionaire Elon Musk, has been very outspoken in his take on Artificial Intelligence. He has even tweeted that we should be more afraid of AI than of nuclear conflict. Musk is looking to take a positive approach in the creation of his own artificial intelligence tools. Glancing at his Twitter page, two of his most recent tweets were in relation to AI: a retweet (RT) about Alibaba’s AI ‘scoring better than humans in a Stanford reading test’, a fact which supports Musk’s theory that AI will overtake human capacity and take all currently existing jobs; the second another RT which stated ‘Safe #AI for all, @elonmusk’s @OpenAI is looking to expand its team & continue on its goal of creating AI that does not destroy humanity’. But there are many experts in the field who disagree with both Musk’s and Hawking’s views and are not predicting a destiny reminiscent of The Terminator. A professor of artificial intelligence at the University of NSW, Toby Walsh, conducted a survey involving 300 AI researchers to discuss the pace at which the tech may overtake human intelligence. Most of the respondents stated a belief that it would take around 50 years before that might happen. 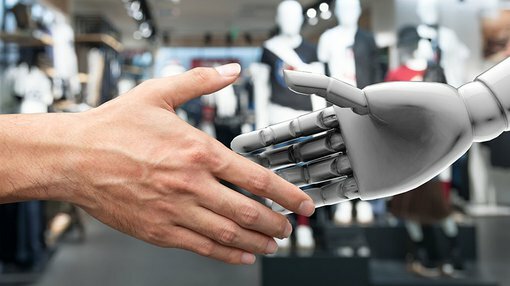 Given what human beings have been capable of in, for example, the 50 years to now, there is a strong belief among experts that we will be properly prepared for any potential major adverse developments of intelligent machines, as far as the threat of ‘the singularity’ (the time when AI superintelligence outstrips anything humans can do alone). It should be noted that FGO is an ASX listed company and investors should seek professional financial advice if considering this stock for their portfolio. OK, but what about our jobs? Ray Kurzweil, chief engineer for Google and famous futurist, has made several arguments for the benefits of AI, as a counter to the so-called ‘doomsdayers’ who think it will spell the end of human life on earth. He has been particularly vocal on the topic of AI technology taking over the jobs that humans currently do to earn a living and be a productive member of society. His argument? Yes, jobs will be lost, but that newer ones will be created. “My view is not that AI is going to displace us. It’s going to enhance us. It does already,” he told The Council on Foreign Relations (CFR) in November last year. Kurzweil’s track record suggests we would be wise to listen to what he has to say. “If you Google how my predictions have fared, you’ll get a 150-page paper analyzing 147 predictions I made about the year 2009, which I wrote in the late ’90s—86% were correct, 78% were exactly to the year,” he told Fortune in an interview last year. In defending the potential benefits of AI, Kurzweil has made the point that he thinks it will benefit humankind in the same way previous technological advancements have. He actually predicts we will have a ‘hybrid AI’ available by the 2030s which would allow humans to tap into a cloud with just their brains, through the capabilities of ‘nanobots’ inside our bodies. Okay, the very notion of nanobots that live inside us and read our minds could send many of us running for the hills. But the upside of such an achievement is limitless. Another proponent of the overwhelming benefits of AI is Jordan Bitterman, CMO of IBM Watson Content and Internet of Things Platform. He has compared the discussions happening around AI with the dawning of the automobile – an invention which concerned people at the time as it would put them out of work. And, they were right. But as Bitterman argues, “It created the suburbs. It created the shopping mall. It created the automobile industry obviously, the tyre industry. It put people to work building highway systems”. Facebook CEO Mark Zuckerberg is even more direct with the likes of Musk and Hawking and their fearful views of AI. “I think people who are naysayers and try to drum up these doomsday scenarios — I just, I don’t understand it. It’s really negative and, in some ways, I actually think it is pretty irresponsible,” he told an audience of followers via a Facebook live stream. Artificial intelligence expert Max Versace, CEO of robotics and computing company Neurala, echoes these sentiments. “AI will not kill us. That’s science fiction,” he said. Rather than being disastrous for jobs, Versace’s view sees AI as a potential game-changer in a positive sense, pushing people to fill roles that are more skilled and intellectually demanding. Wallace agrees and notes that human-machine interaction is a next phase of evolution for humankind. Done well it is a gamechanger for everyone.